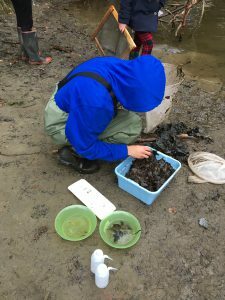 WVPD’s Educators provide a variety of engaging, hands-on environmental education opportunities that help support students classroom learning. Supplementary environmental education to local schools – visit our schools program page for more information! Contact WVPD’s Programs Director, Lauren Chicote at info@wvpd.org or WVPD’s AmeriCorps Environmental Educator at americorps@wvpd.org to learn more and schedule a program today! Student from Mount Mansfield Union High School looking for macro-invertebrates during a stream ecology and water quality lesson at Old Mill Park in Jericho. Photo Credit: Lauren Chicote, November 2017. The WVPD offers supplemental science curriculum to educators in its 7 member towns: Burlington, Colchester, Essex, Jericho, South Burlington, Williston, and Winooski. This curriculum offers students the opportunity to engage and explore their natural world through place based education. Place based education takes students out of the classroom and into their community and surrounding natural environment. It enables students to have experiences and opportunities to apply their knowledge to real world problems and situations. Resource based environmental and conservation education enables students to be ambassadors of their natural world. 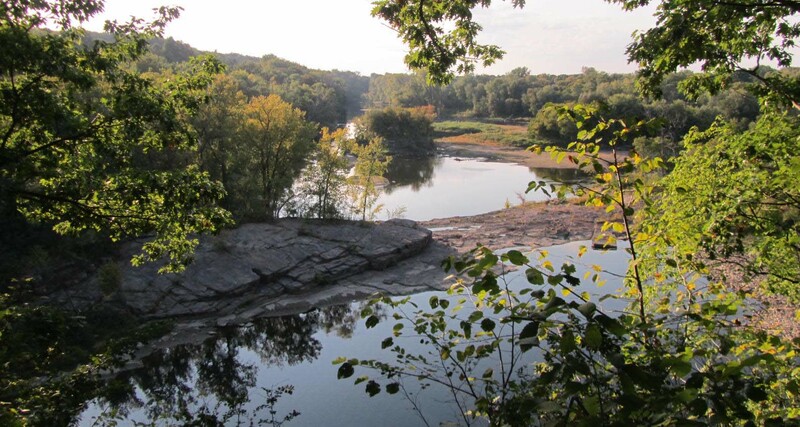 The purpose of environmental education is to foster awareness for, and help students better develop a sense of place and connection to the natural world. By inspiring students to immerse themselves in nature and investigate their relationship with it, they develop the skills necessary to make informed decisions on the wise and sustainable use of our natural resources. Why Implement Environmental and Conservation Education? Increases system thinking by encouraging students to view problems across disciplines. Broadens students’ awareness, leading them to make more informed decisions on real world problems. Encourages engagement in science by connecting topics in the classroom to real world scenarios and problems. Strengthens student connections with community, local organizations, and helps to develop a sense of place. Creates the opportunity for students to spend quality time outside. Inspires and increases enthusiasm for learning by causing students to be more engaged during other content periods. Increases students’ drive to learn by promoting hands-on activities and experiences. Where and How to Implement Environmental and Conservation Education? Anywhere and anytime! The WVPD offers on-site programs, field trips to WVPD Parks, and Service Learning Projects for school groups, home schoolers, afterschool programs, youth groups and volunteer groups. The WVPD’s educator is happy to work with teachers and providers to create a program that fits your needs and curriculum. Contact our Programs Director or Environmental Educator for more information.